Rotorua is a hub of New Zealand tourism and what better way to show off your Rotorua tourism or accommodation product with a glitzy new website. After a couple of years of relying on a simple template website from a ‘big box’ marketing organisation, Selina & Alex wanted something a little sharper to promote the strengths of their Rotorua Motel. That’s when they started looking for web designers in Rotorua. We crafted a sharp, responsive website with call to action in all the right places. We also ensured that the underlying structure of the website was such, that SEO friendly updates were a breeze. When the original photographer fell through, we even stepped in to help with a number of images, including that fantastic home page shot showcasing their beautiful gardens. 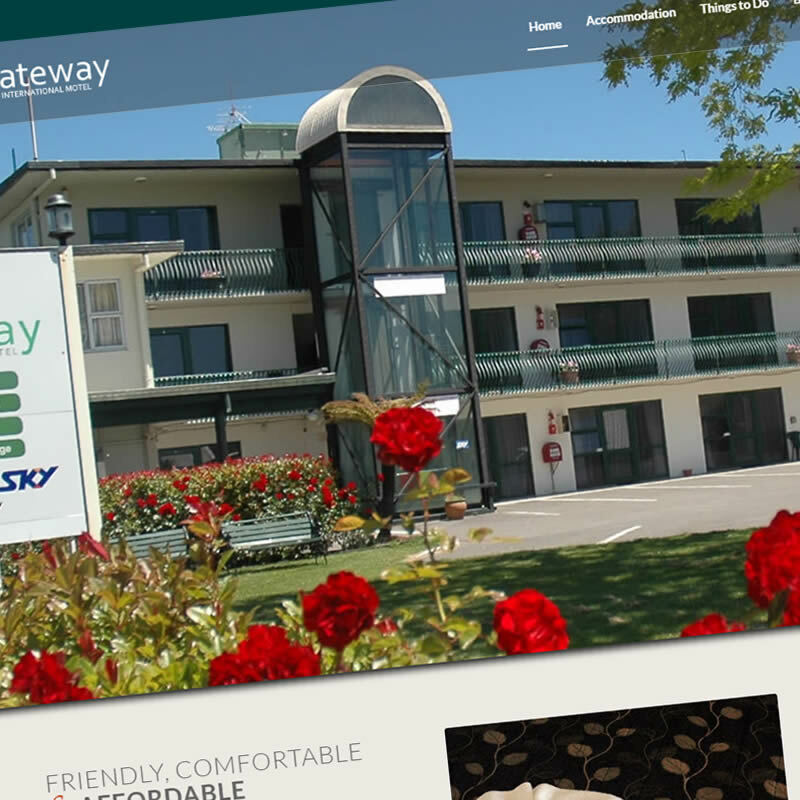 We invite you to take a look at the new Gateway International Motel website. We’ll even be firing up an effective Search Engine Marketing campaign after the summer rush to ensure that visitor enquiries and booking stay nice and active throughout the year. Our web designers in Rotorua are starting to make a bit of a name for themselves in the tourism sector with other notable tourism businesses like Adventure Playground and Mitai Maori Village (Internet Marketing alongside Cox Web & Design who designed their website) under our electronic wing.